Richland Center Police Chief Lucas Clements reports two recent drug arrests within the City of Richland Center. While on patrol November 15th, a Deputy with the Richland County Sheriff’s Department contacted the operator of a suspicious vehicle parked in the parking lot of a closed business within the City of Richland Center. During the contact, it was learned that the operator had driven to the parking lot and had a revoked driver’s license due to an OWI related offense. The operator was arrested for driving after revocation. Upon his arrest, the operator began acting nervous at the presence of the Richland County Sheriff’s Department K-9 being on scene. K-9 Rambo was deployed and gave a positive indication on the vehicle in question. A search of the vehicle located methamphetamine. 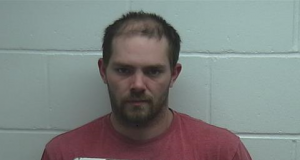 The operator of the vehicle, Perry M. Phillips, 27, of Richland Center was arrested on possession of methamphetamine, operating while revoked (OWI related), and for three counts of bail jumping. At the time of his arrest on November 15th, Phillips had been previously released from custody on two Richland County bail bonds and one Iowa County bail bond. Assisting with the arrest of Phillips were Officers from the Richland Center Police Department. After being incarcerated in the Richland County Jail, Phillips became physically unruly and assaultive towards Deputies. As a result of the incident in the jail, Phillips is facing the additional potential charges of battery by a prisoner to an officer and disorderly conduct. A Deputy injured in the incident was treated and released from the Richland Center Hospital the same day. One night later, November 16th, an Officer with the Richland Center Police Department made a traffic stop on a vehicle within the City of Richland Center. During the normal course of the traffic stop, a Deputy with the Richland County Sheriff Department approached the vehicle with K-9 Rambo. Before being able to deploy Rambo, alert Officers observed a passenger in the vehicle begin to reach for his pants pocket. Officers ordered the passenger to stop reaching for his pocket, which he did not. Officers quickly responded to the passenger’s non-compliance, removing him from the vehicle and securing him. Subsequent investigation recovered methamphetamine from the pocket the passenger had been reaching for. 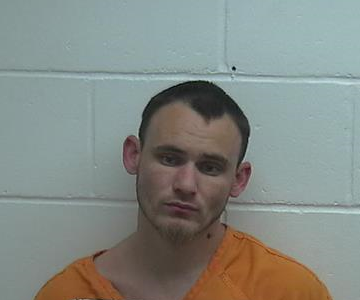 As a result, James R. Heather, 27, of Baraboo and formerly of Gotham, was arrested on possession of methamphetamine. A criminal check also indicated Heather had an outstanding warrant through the Department of Corrections. Charges for both Phillips and Heather will be forwarded to Richland County District Attorney Jennifer Harper for prosecution.